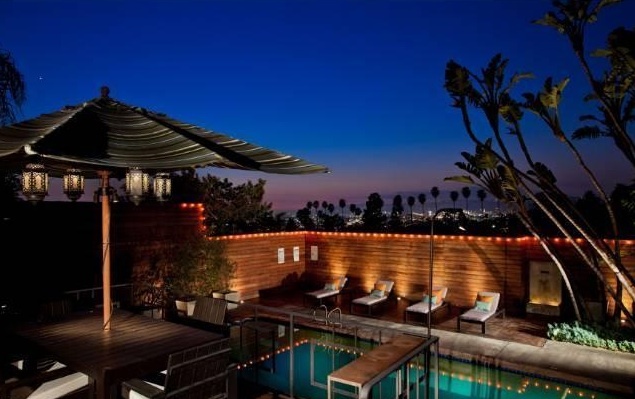 This Spanish Silver Lake Pool Home sits high in the hills and provides panoramic city views from nearly every room. The home is tastefully updated with modern finishes but still retains its old worlds charm and original style. The living room boasts a vaulted, beamed ceiling and corner fireplace. 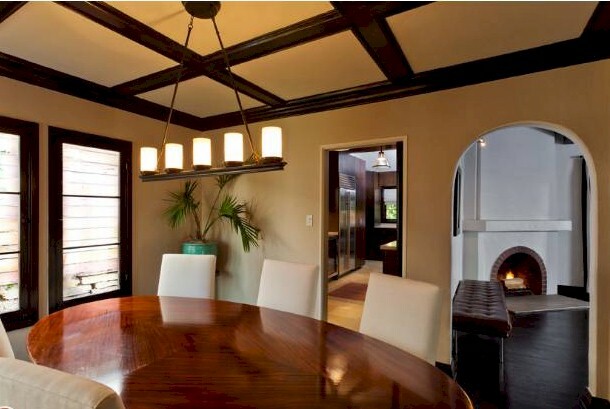 Connected is the formal dining room with box beams and updated kitchen with its own eat-in area. Originally built in 1931, the house contains three bedrooms and 3 bathrooms. Outside and down the stairs is a separate guest suite and wine room. There’s a bedroom, bath and bar with the bedroom currently being used as a sound studio. This separate space over look the lovely rear garden and pool are. Equipped with a sound system, BBQ/Dining area,fountain, outdoor shower and deck there’s nothing missing but the guests!